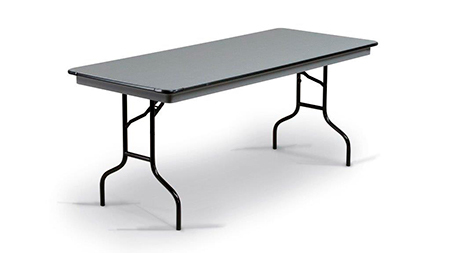 This durable yet lightweight folding table is suitable for a variety of events. Use it in the classroom, cafeteria, banquet hall, or church social hall. Its 16-gauge steel legs provide extra support to withstand heavy use. The table folds for convenient storage, and is easily portable. Dimensions range from 18”-25” wide and 38”-96” long.